The Blue Moon is the local's favorite stop on the way to or from the resort. We offer casual, cafe dining in a family friendly atmosphere. 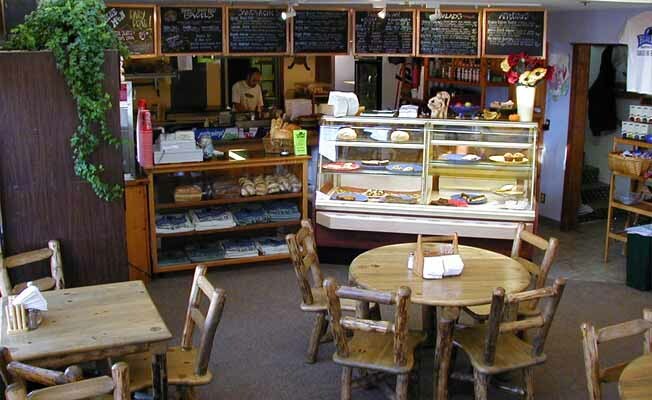 We offer outstanding pizza, fresh baked goods, take out bistro food, and outstanding coffee. All of this at reasonable rates. We are the only restaurant delivering to Meadow Village and offer delivery to Mountain Village as well. Come on in and check us out. You will be pleased and will probably be back. Call 995-2305 for delivery.